Natural Gear™ camo exterior: A perfect complement to all your outdoor adventures, the Natural Gear™ camo exterior is photographically derived and blends into any environment. Super quiet - less noise than normal conversation: So quiet, your neighbors will thank you. The EU2000i operates at 53 to 59 dBA, which is less noise than a normal conversation. 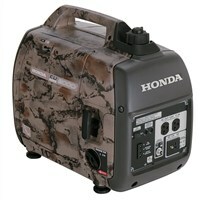 This makes them ideal for camping, supplemental RV power and any other activity that requires quiet operation. 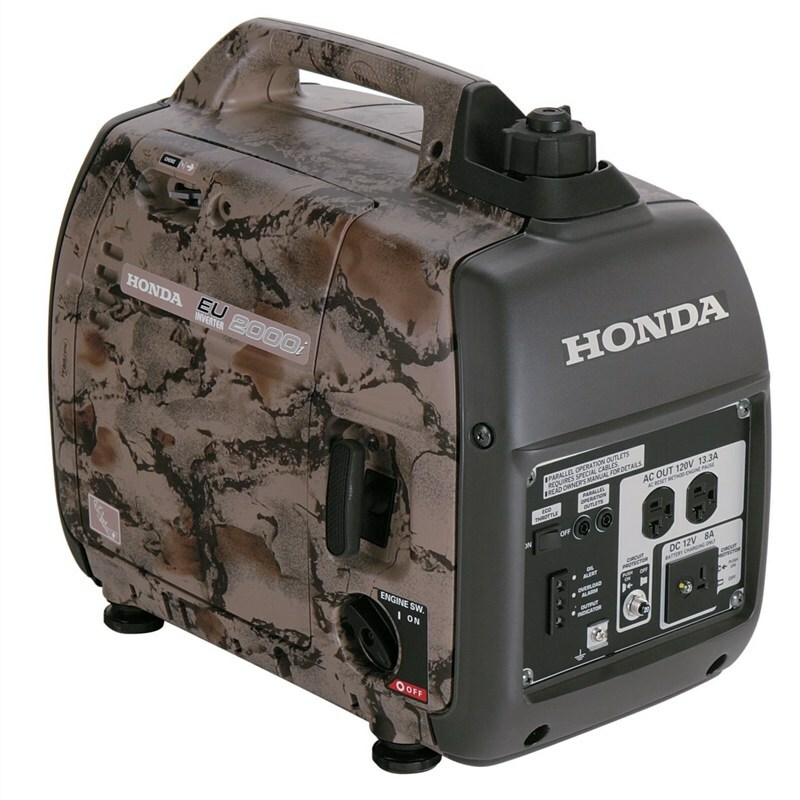 Lightweight and compact: Weighing less than 47 pounds, the EU2000i is incredibly lightweight and portable, thanks to Honda's inverter technology.